Atlético Madrid manager Diego Simeone believes “Extraordinary” Thomas Partey is underrated and deserving of more praise. The Argentine coach argued that the Ghanaian international would have been rated highly if he had come courtesy of a big money move from either Manchester United or City. The 25-year-old has been key cog for the Rojiblancos this campaign, playing 20 of the team's 23 LaLiga Santander fixtures. 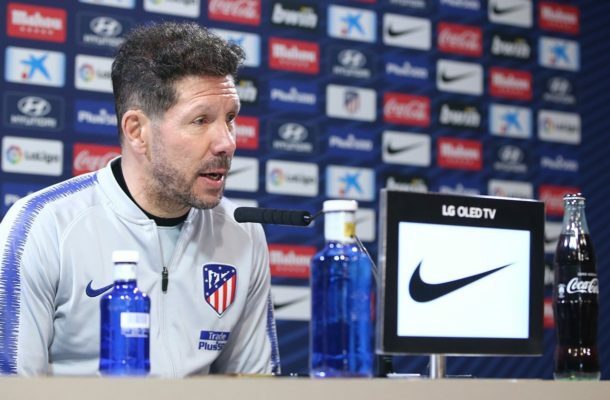 "Thomas is extraordinary," Simeone said after the home match against Getafe. "If he had arrived from (Manchester) City or United... we would be talking about a fantastic player. "But because he came from the academy we say he is a good player," Simeone concluded.